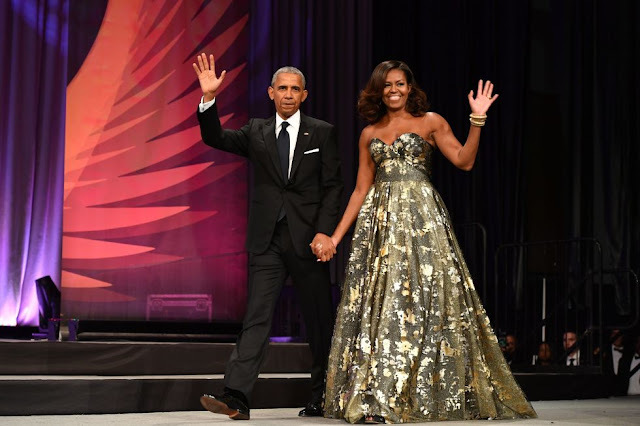 Home / Celebrity Style / Dress / Fashion / Gold Naeem Khan Gown / Michelle Obama / Naeem Khan / MICHELLE OBAMA STUNS IN GOLD NAEEM KHAN GOWN FOR PHOENIX AWARDS DINNER. 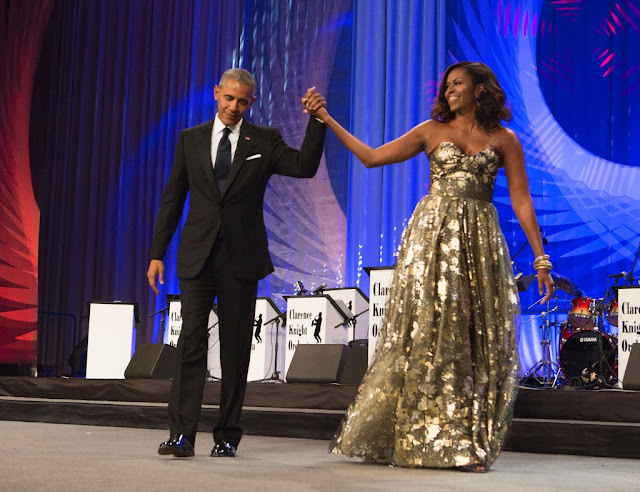 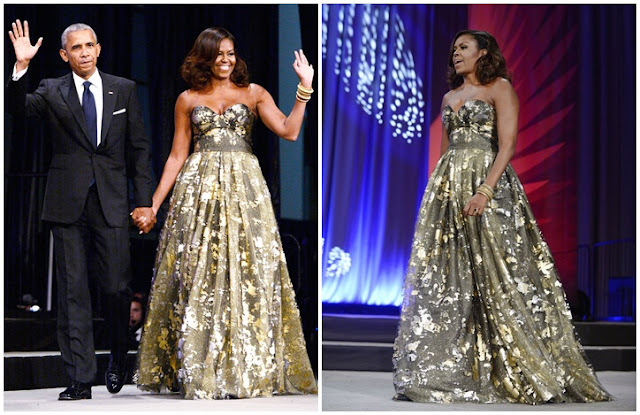 MICHELLE OBAMA STUNS IN GOLD NAEEM KHAN GOWN FOR PHOENIX AWARDS DINNER. 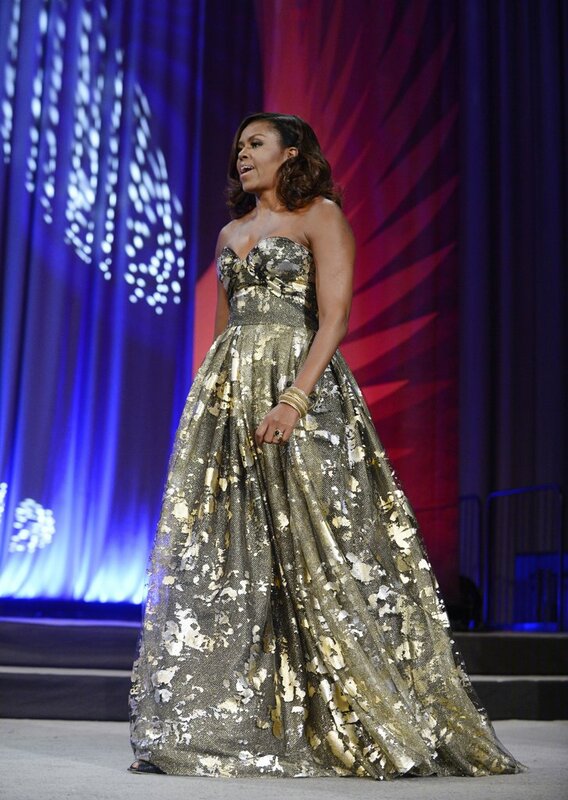 The first lady is still keeping it stylish, na as days keeps going it gets better and better. 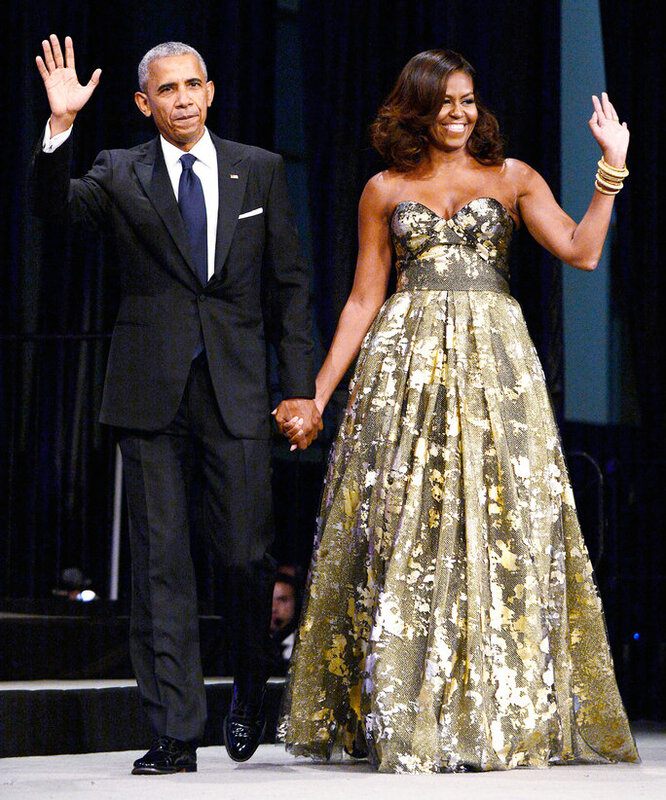 At the Phoenix Awards dinner Flotus arrived with sparkling all over wearing a gold no shoulders Naeem Khan gown with Potus on her arm..jsut like a fairy tale..